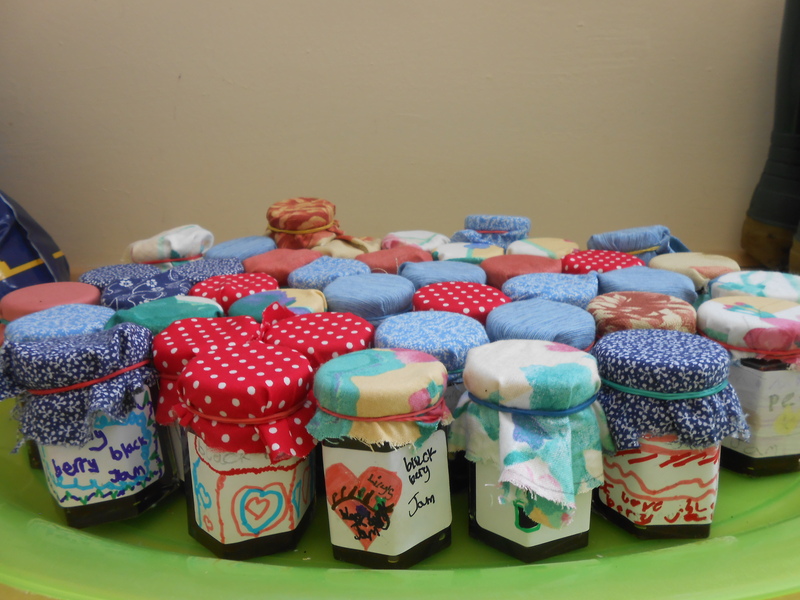 The finished jam- complete with labels and jam jar fabric topper. 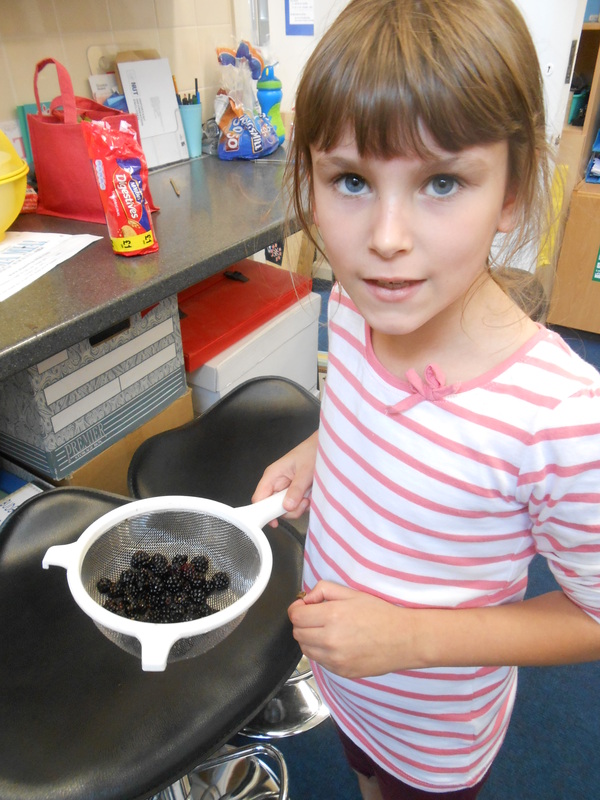 Following a successful pick of this year’s crop of blackberries at Smite Farm yesterday, the children have today turned their blackberries into some very delicious jam! 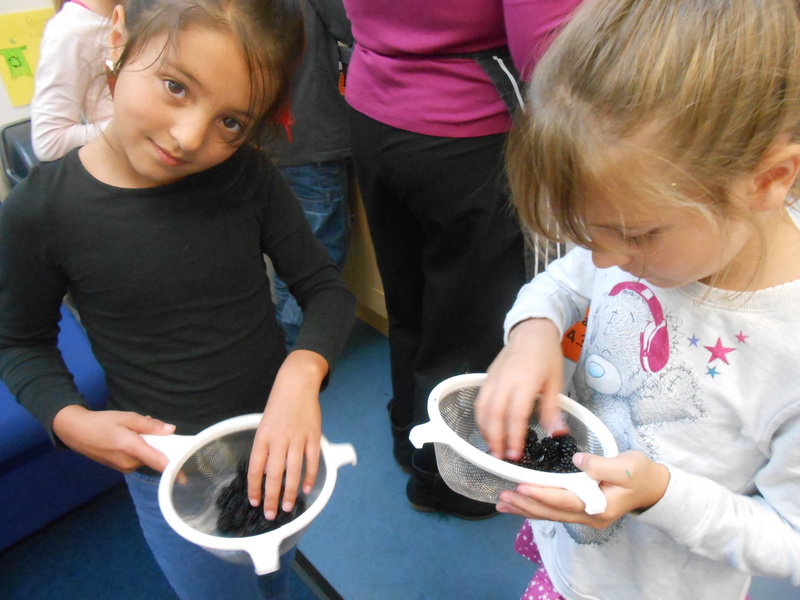 All the children helped wash and weigh out the blackberries, cook them, add the sugar and pour them into individual jars. They have each designed and made their own label for their jam pot. We are very proud of the jam we have made and have already had some very positive feedback from some of the other teachers who have already sampled some of the jam! 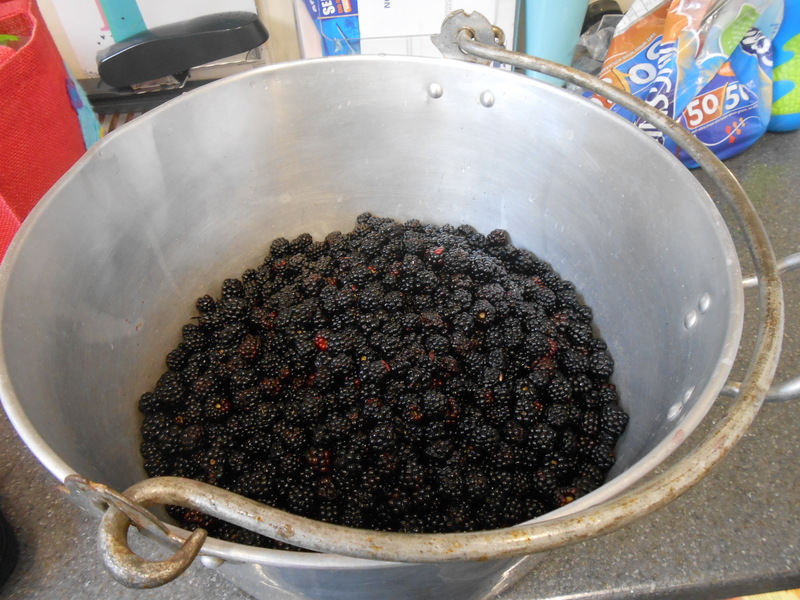 Hopefully we’ve picked enough to make some jam!